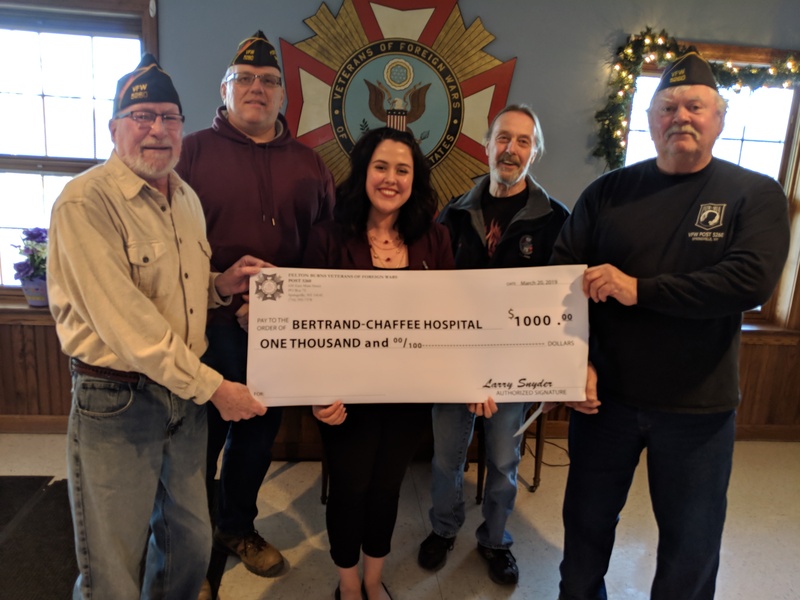 Ally Olsen graciously accepted a $1,000 donation from the Felton Burns VFW Post 5260 on behalf of Bertrand Chaffee Hospital. The donation will be used to purchase a bariatric wheelchair for use on the Medical Unit of the hospital. The members of the local VFW expressed interest in donating to the hospital because it is something that we all use from time to time. We thank them for this generous donation. 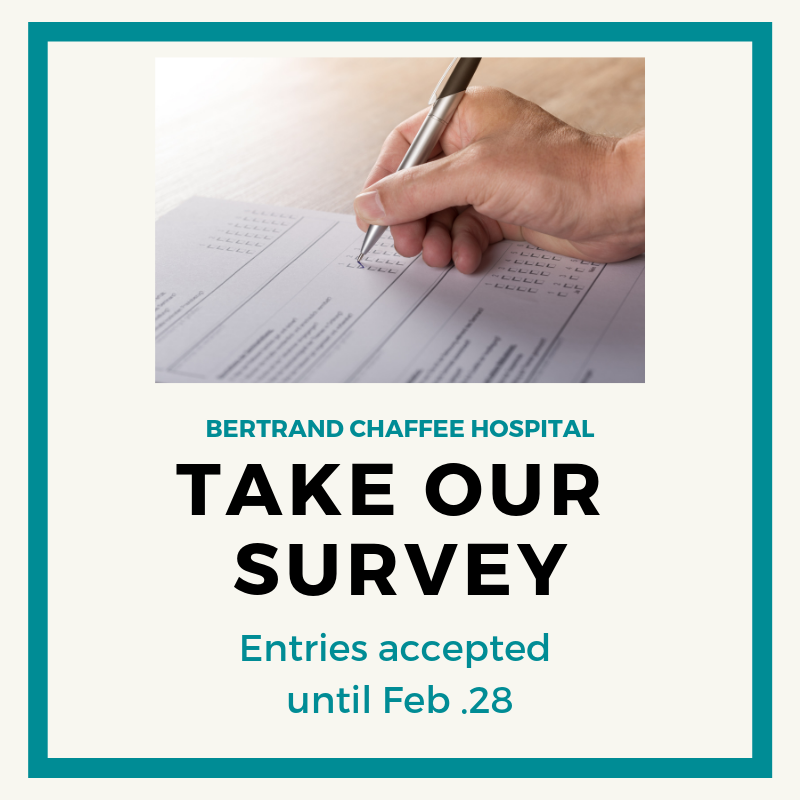 Bertrand Chaffee Hospital provides acute inpatient care, 24 hour emergency care, laboratory, imaging, rehabilitation, respiratory, surgical services, and primary care for the 535 square mile rural service area of Southern Erie, Cattaraugus, and Wyoming Counties. Long term care services are available through the Jennie B. Richmond skilled nursing facility, offering 24-hour nursing care, plus personal care, social and rehabilitation services, and recreational services. 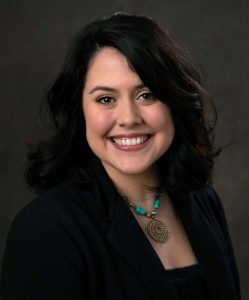 March 11, 2019 – SPRINGVILLE, NY — The Jennie B. Richmond Nursing Home has announced it has hired a new administrator, Allysa L. Olsen, to manage operations for the 80-bed facility in Springville. Olsen brings to the Jennie B. a background in social work and crisis counseling. She has experience in assisted living, long-term care and sub-acute rehabilitation facilities in Western New York, specializing in admissions and discharge processes as well as advocating for resident rights and needs. She earned a Long-term Care Administration Certificate from D’Youville College, and a Master of Social Work and Bachelor of Arts degrees from the University at Buffalo. The South Buffalo native began work on March 11. National Colorectal Cancer Awareness Month focuses attention on a disease that is detectable and treatable when caught in its early stages. 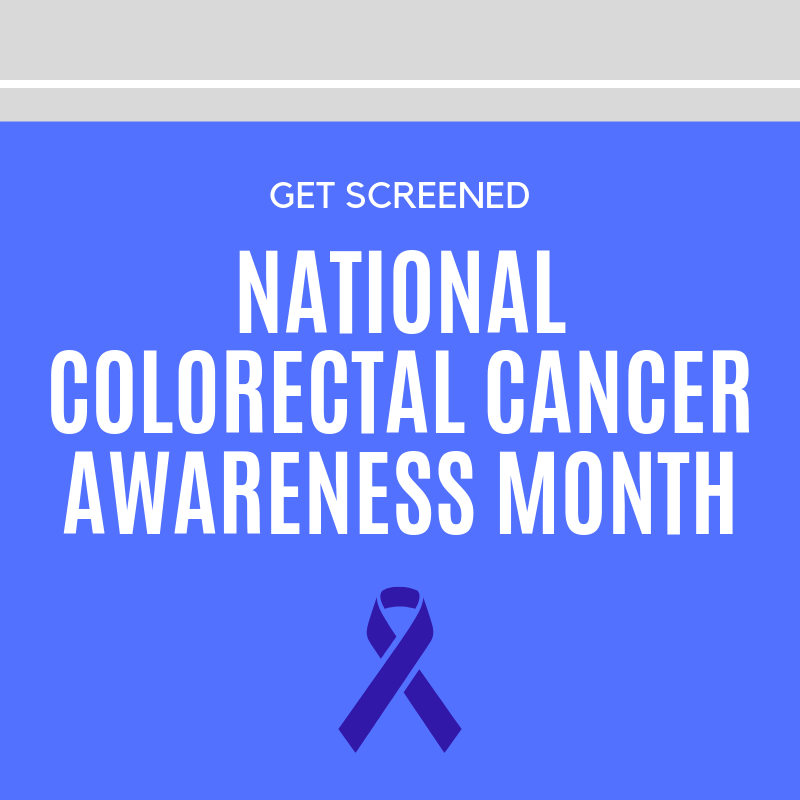 Each March, healthcare facilities and organizations take steps to raise awareness of this condition and to highlight the importance of regular colorectal cancer screenings on a schedule recommended by your healthcare providers. 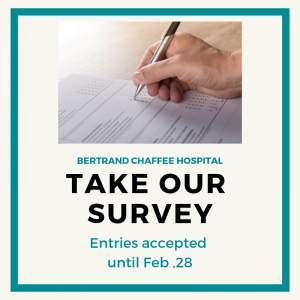 Bertrand Chaffee Hospital joins in this effort by sharing information about colorectal cancer with patients through its Primary Care Center and Surgical Center. The goal: encourage patients to know their risks for colorectal cancer and to get screened on a schedule recommended by their healthcare provider. 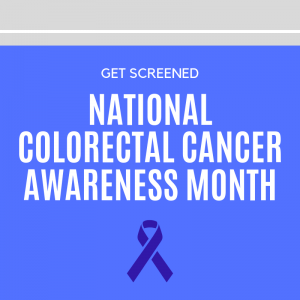 For most patients, colon cancer screenings begin at age 50, though certain risk factors such as a family history of colon cancer might indicate that earlier screenings are needed. Colonoscopies are screening tools that are performed in a surgical setting with sedation for patient comfort. Other screening options include take-home stool tests that are covered by most insurance plans and available for free to uninsured patients through county Cancer Services Programs (CSP). To access the CSP in Erie County, call (716) 858-7376. For Cattaraugus, Allegany and Chautauqua Counties, call 877-778-6857. For Wyoming County, call (716) 278-4898. At Bertrand Chaffee Hospital, physicians in our Surgical Center perform colonoscopies for patients in an ambulatory surgery setting. That means that patients are generally able to go home from their procedure on the same day. Colorectal cancer most commonly affects individuals over the age of 50. Patients who are experiencing a change in bowel habits, bleeding or blood in stool, persistent abdominal pain or cramping, or unexplained weight loss should consult with their healthcare provider. A prescription is needed from a healthcare provider to schedule a colonoscopy. Please call (716) 794-3295 for a colonoscopy consultation with Dr. Gavin Davison, surgeon in the BCH Surgical Center. BCH & JBR will be sponsoring an American Red Cross Blood Drive on March 11, 2019 from noon until 4:00pm. 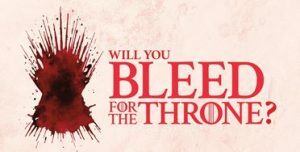 All presenting donors will receive a Game of Thrones t-shirt (while supplies last). Please contact Annette Kaleta at 592-2871 ext. 1221 to schedule your appointment. Bertrand Chaffee Hospital will coordinate monthly diabetes support group meetings for Type I and Type II diabetics and their loved ones in 2019. Interested individuals are invited to participate in this group to share recipes, coupons and information about topics related to diabetes and health in a supportive and welcoming environment. The group will meet at Bertrand Chaffee Hospital on the first Monday of each month from 6-7 p.m. A Certified Diabetes Educator will facilitate the group, and meetings are free of charge. This group is part of the BCH diabetic education program, which is accredited by the American Association of Diabetes Educators. Topics include: January, Diabetes Bingo; February, Gut Flora; March, Paleo Diet; April, Yoga; May, Asthma/COPD; June, Diabetes Jeopardy; July, Label Reading; August, Ketogenic Diet; September (closed for holiday); October, Paleo Diet; November, Laboratory Targets; December, Fasting. For more information, call (716) 592-9643. Meetings will be canceled when Springville-Griffith Institute schools are closed for a snow day.